The official flower of Mother's Day is the carnation, the favorite flower of the mom of the holiday's founder, Anna Jarvis. Over time, the custom arose of wearing a white carnation on Mother's Day if your mother has died and a red one if she's living. In fact, many carnation colors have special meanings. Pink carries the richest Christian symbolism. According to legend, carnations first appeared on earth as Mary wept while watching Jesus carry his cross. Where her tears fell, there appeared pink carnations, symbolizing a mother’s undying love. 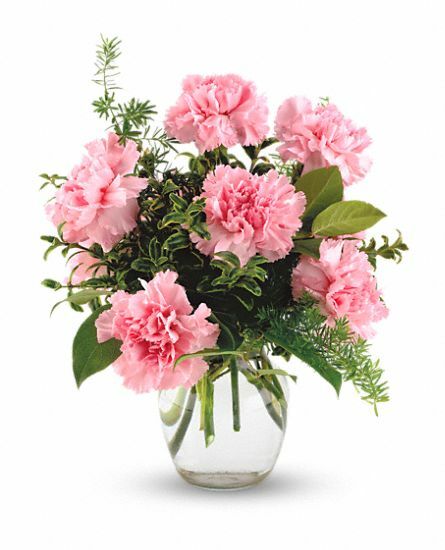 According to one theory, the English word for carnation comes from carnis, Latin for flesh. From the same root comes incarnation, God’s coming to earth in flesh. Thus, carnations remind us of our loving mothers as well as our loving Savior.